This is a YA book I checked out as an e-book because it was available. I ended up getting more into it than I thought I would. I will read the next book as well, because I need to know what happens. Even though I want to know what happens next, that does not mean that I connected with the characters. All of them, even the main character, feel rather undereveloped to me. There is a distance. Perhaps this is purposefully done by the author. It made me, the reader, frustrated with the characters at times. The main character is Daphne, who has had a rather rough life recently, but uses her confidence and strength to get an intense job on an oil rig at age 17. Her teenage cousin is pregnant and expecting a baby with her not-so-great boyfriend. Things are looking up in their lives. . . until they are not. I do recommend this book (series) to those who enjoy end-of-the-world and/or dystopian fiction. Basic Summary: A virus gets out of a government facility (because in this particular version of the world, a creature known as Randall Flagg makes this happen) and spreads through the world in a matter of days. 99% of the world’s population dies. The survivors pick a side and gather together to fight the forces of evil. Note there is the first version, which was heavily edited and published in 1978. I read this book early in 1991. Then the expanded “uncut” edition came out the following summer. I had to wait in line to get that one from the library! I savored it when I finally got my hands on it. Fortunately it was during the summer so that I had time to read it before school started again. What I Remember About the Book: Stu and Fran. The baby. Mother Abigail. The flu spreading. Nick Andros. (No, I didn’t name my son after him. I didn’t even think about that until now.) Harold. What I Took Away From the Book: Worry about what I would do if I would survive (be immune) such a disaster. My asthma was not very much under control at the time. I realized that I would have to break into a few pharmacies and take all of the albuterol inhalers I could get my hands on to keep myself alive. And learn how to ride a motorcycle, even though I dislike motorcyles. Basic Summary: Everyone who is above a certain age dies in a plague/virus. Lisa and her brother are left to fend for themselves in a Chicago suburb. What I Remember (most) About the Book: The kids barricaded themselves in a warehouse or school, I think. 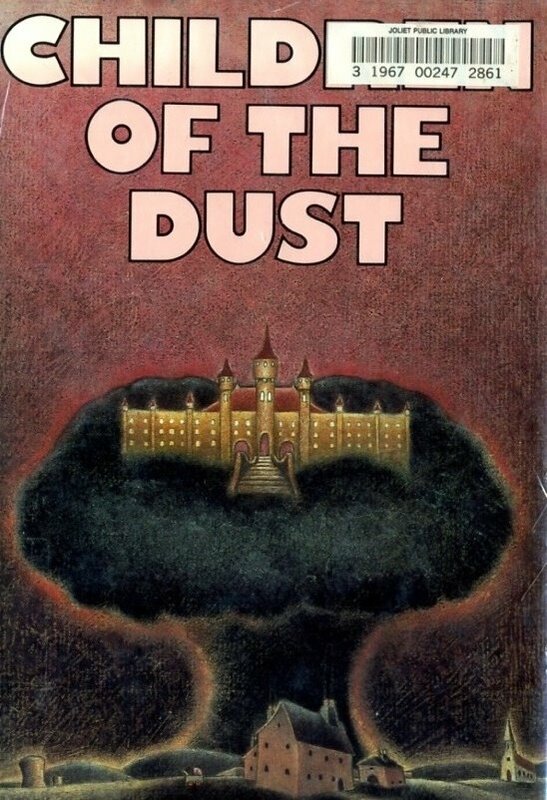 Honestly, it was one of the first apocalyptic books I ever read, and it made an impression on me, though I remember that I liked Children of the Dust by Louise Lawrence better. What I Took Away From the Book: Kids can survive in world without adults . . . if they can think like adults sometimes. Rating (1-5 stars): 4.0 stars – I would have given it four stars back then. Now, I don’t know. I re-read it in 2006 or so. Portions left me wondering, and asking “Would I have really been able to drive a car at 10?” (I was maybe almost tall enough with the seat pulled up.) I think I am going to have to find it, if I can, and read it again. First, I do apologize for not updating this blog in quite some time. We moved 1800 miles from where we were the last time I posted on here. Life has been busy. My laptop also developed a severe problem which is still being solved. This has been a mixed blessing. Mixed because I’ve had less chance to be on the Internet in general, but good, because I have been able to devote more time to reading! In 2011, I read 75 books in total . . . a very low number for me. It is still November in 2012, but I am nearing the 130 mark in my total. Article 5 by Kristen Simmons – I started telling my husband about this one, and he said that it is good that we have such books. It reminds us about how fortunate we are to have our freedom. The US had been decimated in a war, and now the President/dictator has made everything about “morals” and “family.” But what is family, really? And should single parents be punished unfairly for decisions made 18 years earlier? It is a lot to think about. I am looking forward to the sequel . . . which, according the cover, might take place in Chicago. Ashen Winter by Mike Mullins – I also read the first book, Ashfall, earlier this year. I really liked the first book, but didn’t care for this second one nearly so much. The first one ended much more hopefully, which this second one truly leaves the reader hanging after a lot of truly awful scenes throughout the book. That said, I will read the third one when it comes out. The whole story is about a teen who survives a lot of things after a giant dormant volcano erupts and sends the midwest into an ice age. Spookygirl by Jill Baguchinsky – After reading dystopian fiction, this book was a nice change! I think my 13 year old niece would like this book. A high school sophomore can see and talk to ghosts, while her dad is a mortician. I really recommend this book for tweens and young teens. It is a nice blend of the freaky, the scary and family and friendships. Yesterday by C. K. Kelly Martin – Another vaguely dystopian fiction . . . except much of the book doesn’t really take place in the future. It is more about time travel . . . Freya now lives in 1985, but she knows something isn’t right. She still has memories that were supposed to have been wiped, but they weren’t totally gone. All These Lives by Sarah Wylie – Not dystopian! Dani’s twin sister has leukemia. Dani’s mother always told Dani that she had nine lives because they’ve survived an accident years before. Now, Dani believes that if she tries to kill herself, that she’d be able to pass her life onto her sister. She survives every attempt, a little worse for wear. Obviously, Dani feels responsible for her sister’s life. Overall, a very well-written book. A World Away by Nancy Grossman – Amish girl leave Iowa for the Chicago suburbs for her Rumschpringe! She is trying to figure out where she truly belongs in life, with a few surprises along the way. I really enjoyed this book, and couldn’t put it down until the end. Freaks Like Us by Susan Vaught – Told from the POV of a protagonist with schizophrenia. It was quite an experience to read this book. I highly recommend it. The Hallowed Ones by Laura Bickle – I thought I would like this book as being a combo Amish/Vampire/Dystopian novel. I am not altogether sure I liked it at all. The vampires are very Stoker-ish or maybe they even reminded me more of the vampires in Stephen King’s ‘Salem’s Lot. Which took me back to my young teenage years when I had insomia due to reading ‘Salem’s Lot at 9 pm. I read The Hallowed Ones at night, and then was imagining all sorts of odd things . . . and the head of our bed is against a window. Oops. Maybe I would have liked it better in the bright light of a sunny day! Pretty much, there is something like a vampire infection spreading through the country, and the rural Amish community is not safe from it. Epitaph Road by David Patenaude – I actually enjoyed this dystopian novel. The premise is that less than a hundred years from now, a virus will sweep the world – one that only kills males. Women will be able to rule the world much more peacefully . . . but not all is as perfect as it seems. I recommend this one. Adaptation by Malinda Lo – Aliens. Sort of. Not zombies. I appreciate aliens more than zombies, I have discovered. This is an interesting read. Today [the day I wrote the review and posted on LibraryThing], at the grocery store, I saw vitamin C tablets. My first impulse was to stock up and buy them all . . . which sums up the impact this book had on me this week. Near the end of the book, the local doctor explains that a lot of people had scurvy and the vitamin C was worth its weight in gold. Overall, this disaster novel was powerful . . . I could not put it down and stayed up half of the night to finish it. Every few years, a disaster (particularly earth science-related) book gets my attention that pulls me in immediately. I look forward to the sequel. I have to agree with another reviewer, in that I wish we had a chance to get to know the protagonist, Alex, a little more in the time before the disaster (the huge dormant volcano under Yellowstone blows, and Iowa is in the “red zone”). We get hints as to his previous life, but they are brief and fleeting. What we know most is that he is good at tae kwan do, because that comes in handy in his travels to reconnect with his family.